We went to the early church service at 2 PM where we enjoyed worshiping and hearing a great Christmas message. The kids did really well throughout the service. The church handed out little coloring packets, which were perfect to keep them entertained during the message (they are normally in a kids service on Sundays). They loved the candlelight and singing of Silent Night at the end of the service. The hot chocolate and cookies after church were a hit as well. My Dad and the Newman family joined us for dinner that evening. We had Ross' delicious chicken and sausage gumbo with a variety of desserts. The kids had fun running off the sugar while the adults chatted, and I got in a little snuggle time with baby Caleb. 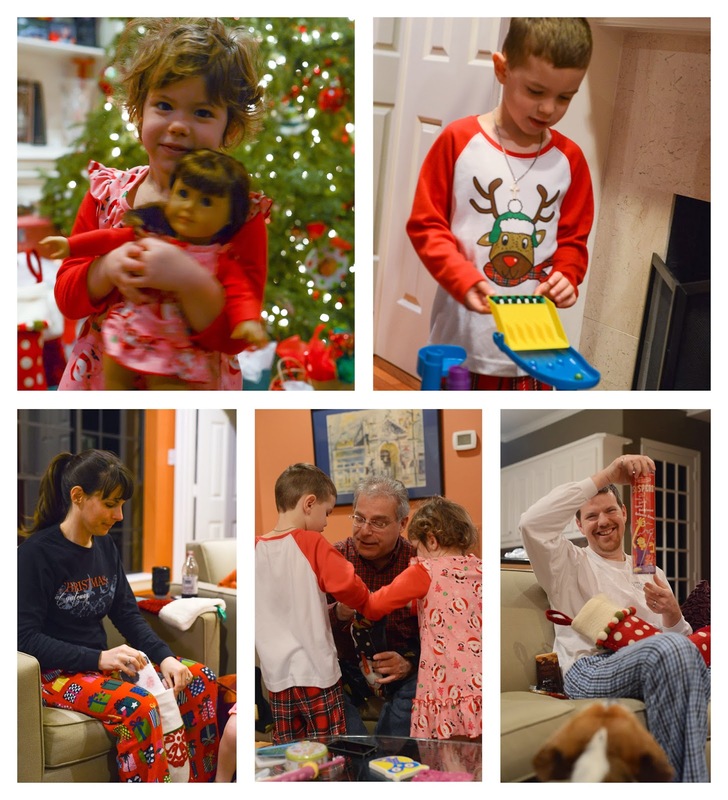 When the Newmans left, Jackson and Audrey were excited to put on their pajamas and get to bed so Santa could come and they could exchange gifts! 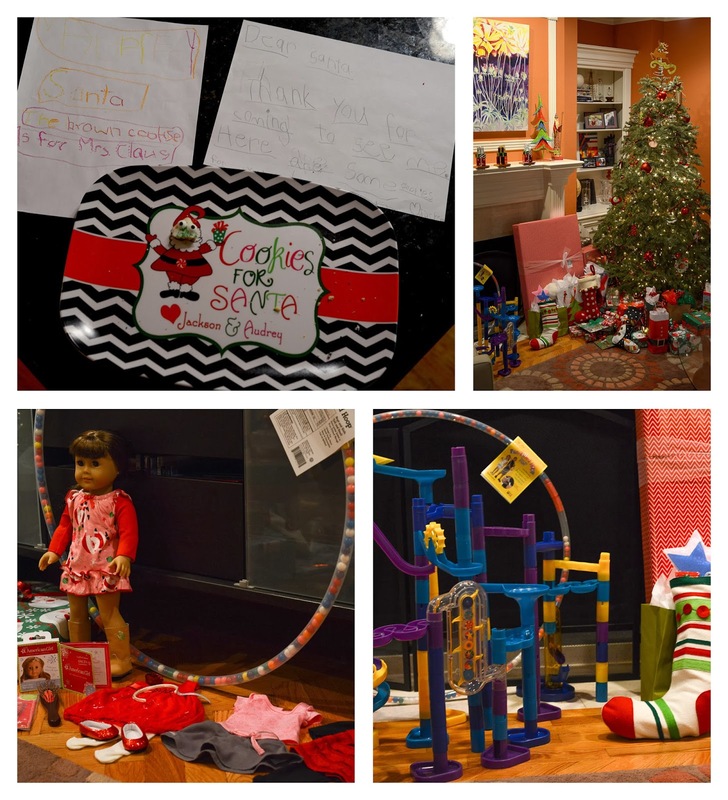 Santa brought each of them just what they wanted...a marble run and an American Girl doll. He also ate all of his cookies and delivered Mrs. Claus' cookies as requested. However, he did leave the eyes of one of the cookies for them to have one last taste. Everyone was excited the next morning. We awoke to hear the kids discovering their toys from Santa in the living room. We quickly jumped out of bed so we could enjoy seeing the excitement on their faces. Unfortunately, I wasn't awake enough to operate the camera well at 5:30 AM, so the initial pics of Jackson didn't come out. The one below is from his first run of the marbles though! The kids enjoyed helping all of us go through our stockings too. We spent the next several hours opening gifts and eating breakfast. Unfortunately, not long before we finished, I realized I had a stomach bug. After the last gift was opened and the real playing began, I crawled back into bed and didn't emerge again until late in the evening. I still enjoyed hearing the sounds of laughter and fun throughout the house though. Ross and my Dad played with them all day! My heart was filled with joy just knowing how much fun they were all having (a little disappointed not to be able to join in, but mostly joyful). I managed to squeeze in a game with Ross and my dad while I watched a movie on the couch that night, which helped me feel like I was part of the fun. Fortunately, I woke up feeling almost normal the next day. Unfortunately, my dad caught the bug and spent the entire day after Christmas in bed...not the best gift I've ever given! He recovered by the next morning as well though, and so far...no one else has gotten it! 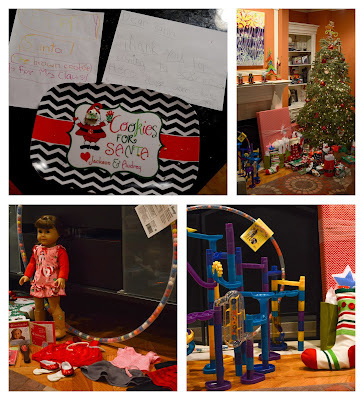 Christmas isn't quite over for our family yet. We're gearing up for the final round of gift exchanges with Ross' family in Leakey. 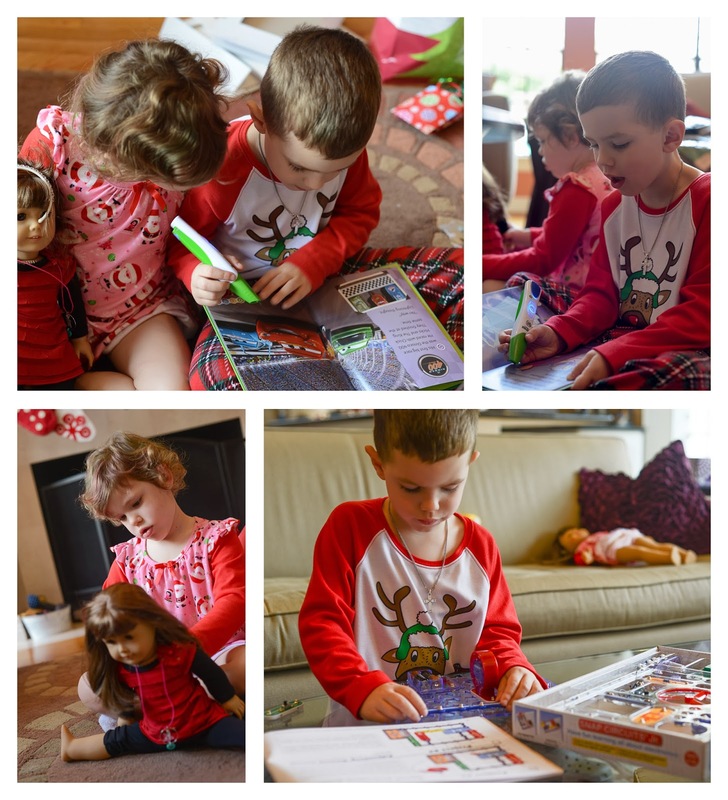 However, my favorite moments from Christmas this year have been hearing Jackson and Audrey describe the true meaning of Christmas and seeing the delight they get from giving gifts to those they love. They are such sweet, amazing kids (most of the time)!